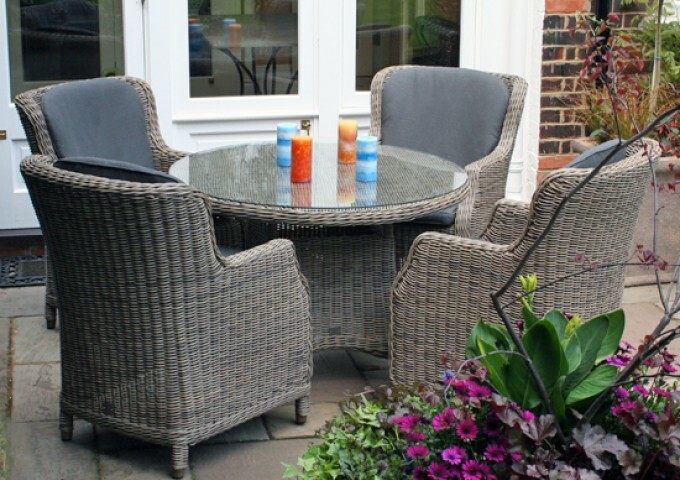 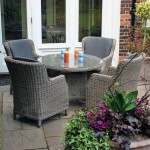 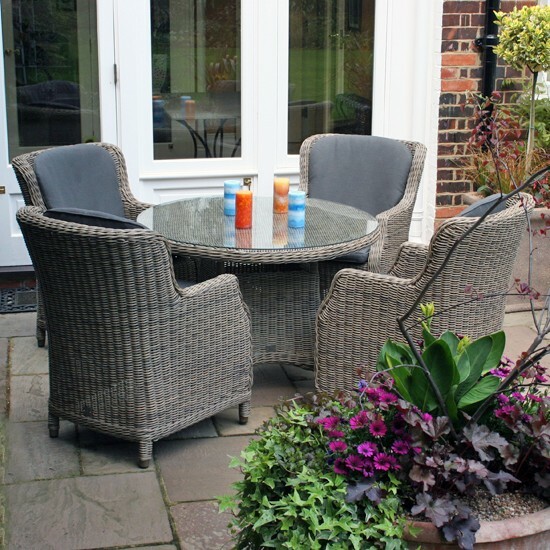 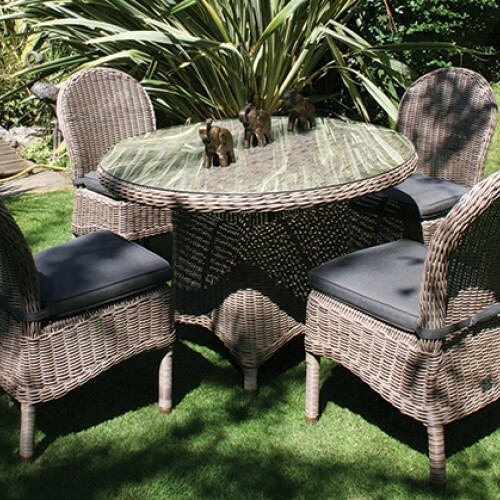 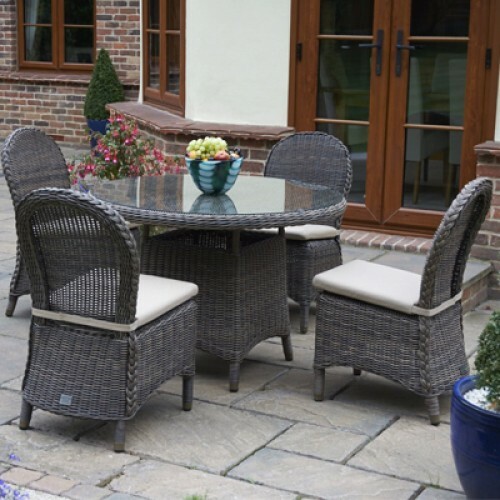 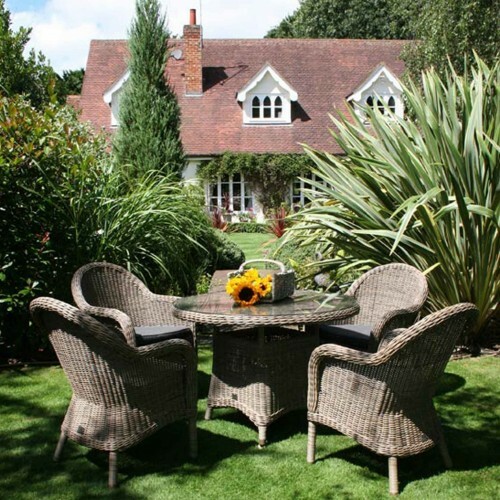 This beautiful All Seasons garden furniture set comes complete with a 110cm Bali round dining table and 4 Brighton dining armchairs.  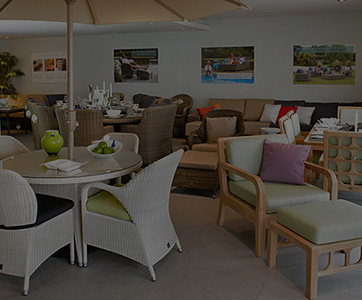 Bridgman All Seasons is designed with style, quality and comfort in mind. 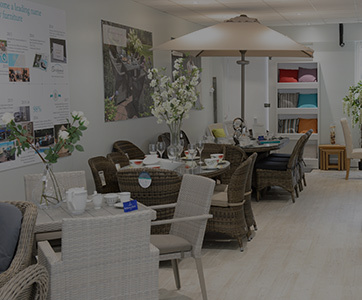 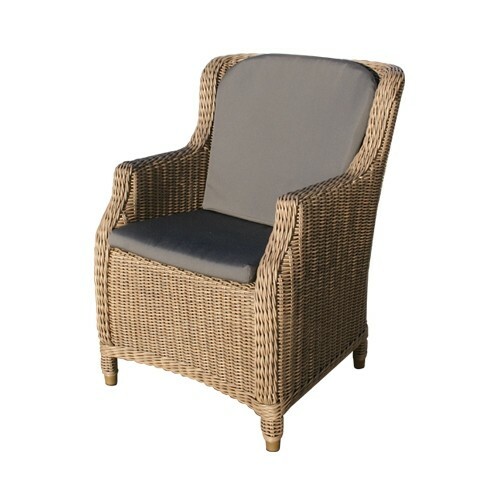 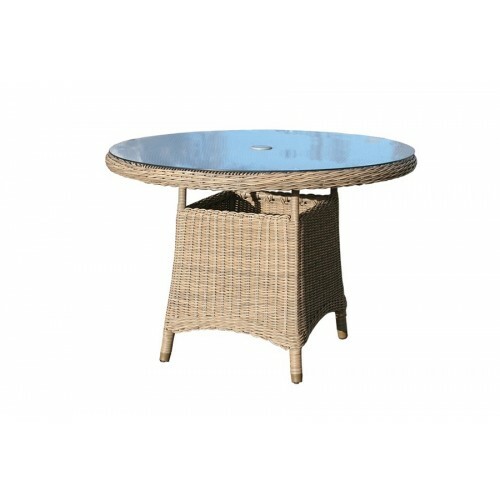 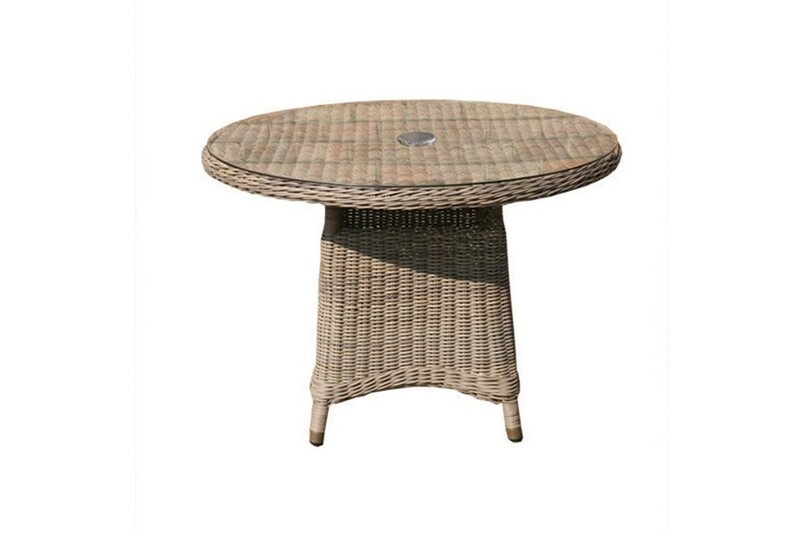 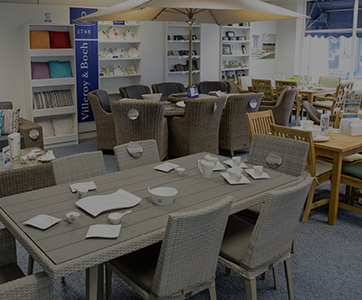 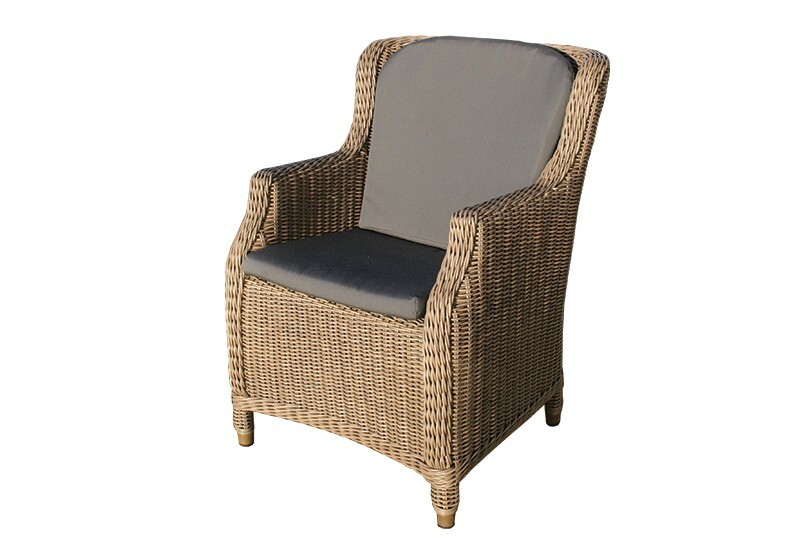 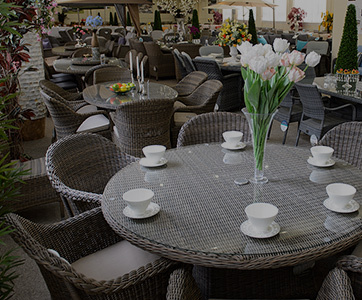 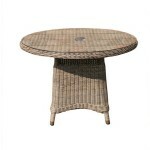 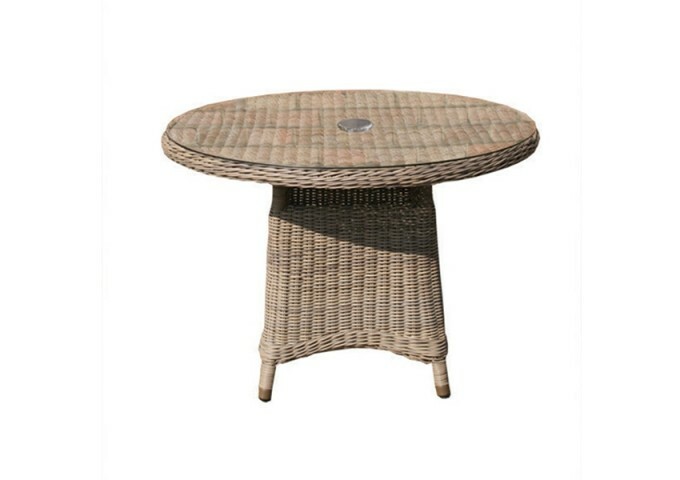 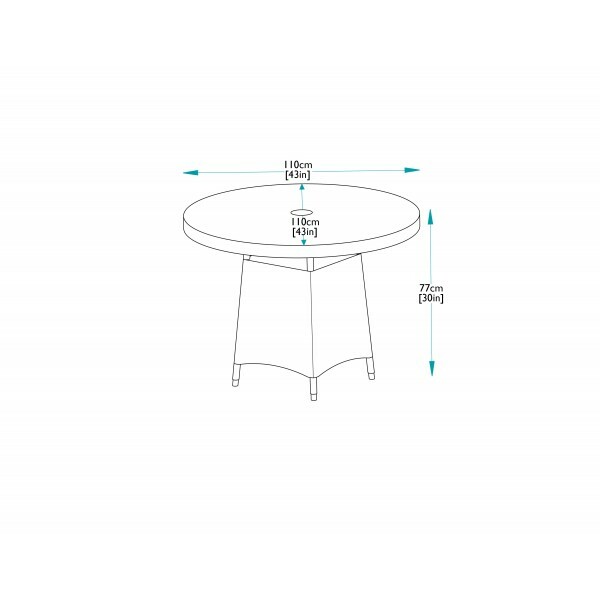 It is manufactured to a very high standard using aluminium frames, covered in top quality synthetic rattan. 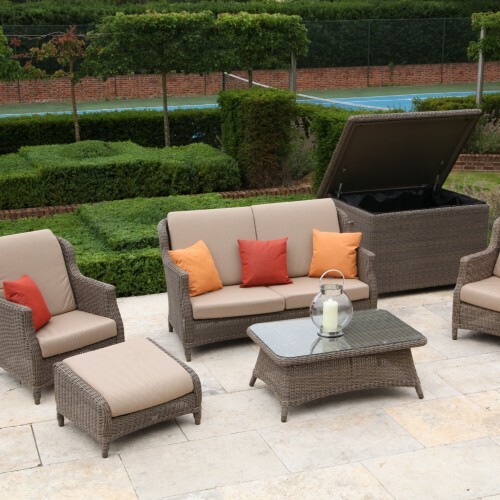 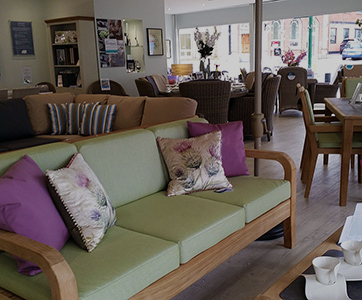 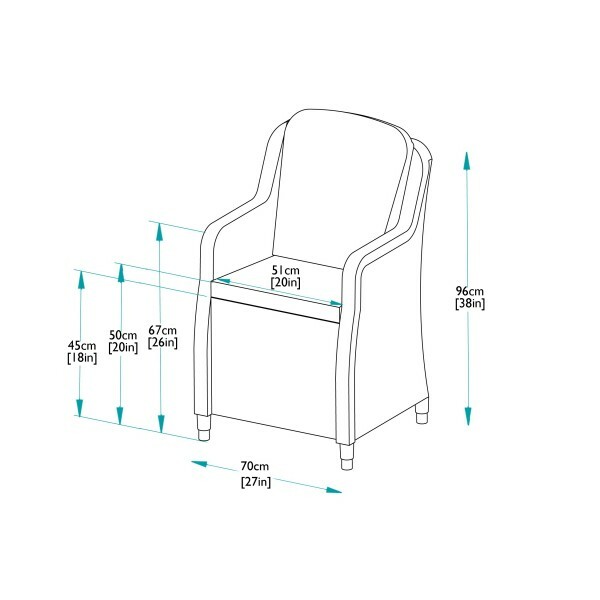 Luxury and comfort are created with the use of fully waterproof seat and back cushions which are automatically supplied with the Brighton Armchair. 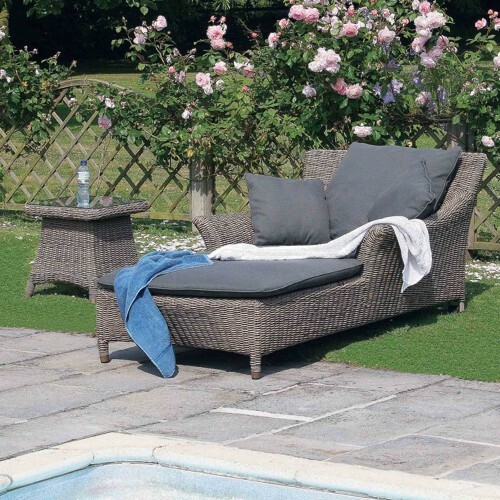 The waterproof cushions are available in a choice of colours. 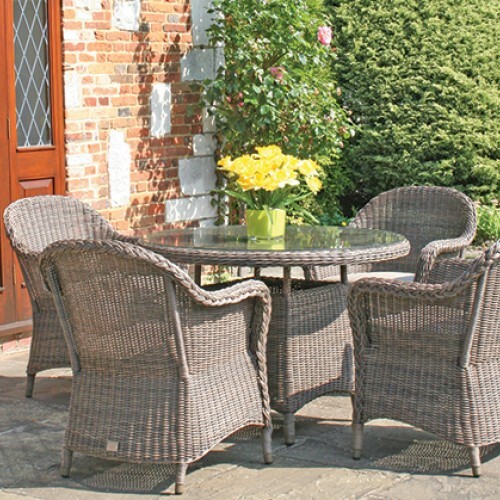 This gorgeous set is also ideal for interior use. 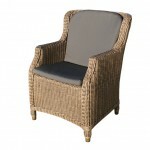 Other matching items in the Pure Weave collection can be purchased to compliment this set of furniture.